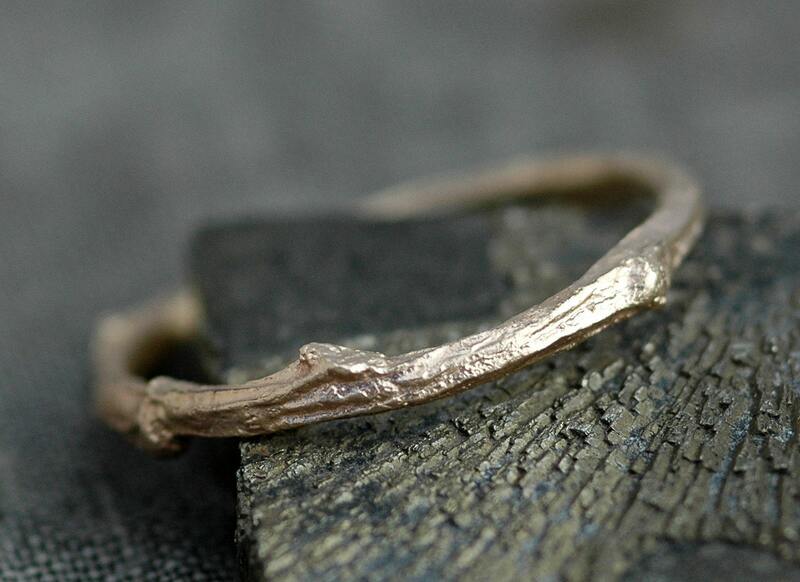 This twig ring is made to order, in your size. I forge these from a casting of an actual branch. The level of surface detail on these is quite amazing- every little ridge, bump, and notch in the original branch is here in its gold counterpart. 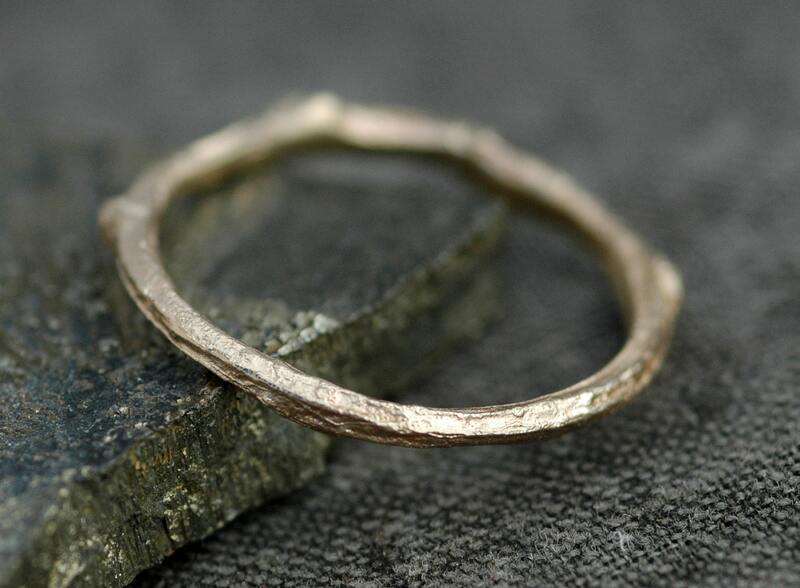 These rings can be made in any size. I make them in 14k white, yellow, or rose gold. 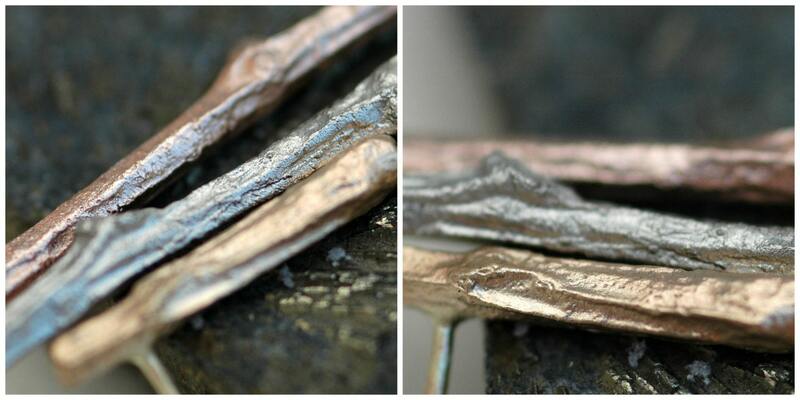 The surface of the branch is given a glittery, brushed surface, as seen in the photographs. I can also tumble them to a shinier appearance. Please note that the shinier these are made, the less of the natural surface detail will be left- I really prefer them in the brushed surface. The branch ranges in width from 2.5-3mm. 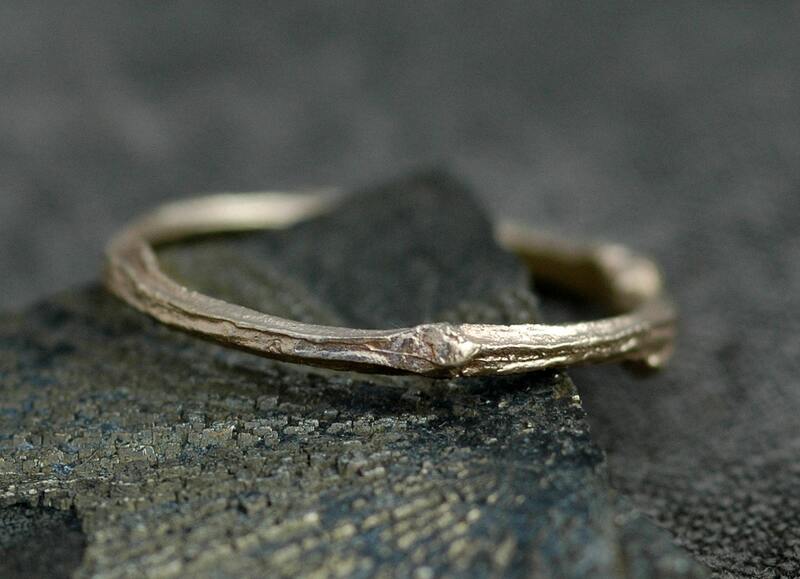 The final photo shows the twigs (from furthest from camera to closest) rose, white, and yellow gold. The twigs have been given a subtle, brushed finish that brings out their colour, but does not diminish the detail. 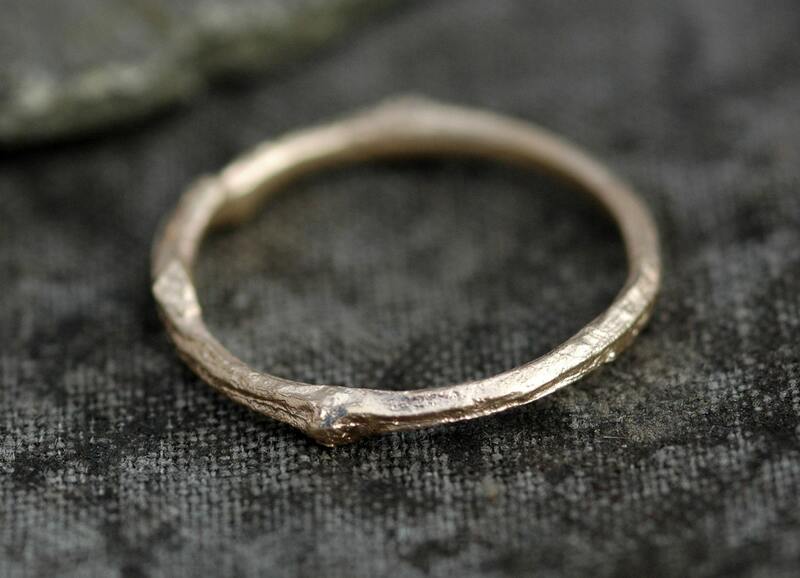 I can also make these rings with rough diamonds of any grade, cut gemstones, rose cut diamonds, or any other sort of stone/crystal you have in mind. Please get in touch for a quote. As this is a custom piece, please check my shop announcement for my current lead time. If you need this piece in a rush, I will probably be able to accommodate- but, please get in touch before for a timeline estimate.